I made this pretty dolly for my colleagues grand daughter who turned 5 years this weekend past. My colleague brought me one of her dolls and I wrapped the dolly’s legs in cling wrap as she had “tricky” legs and I didn’t want to damage them. I made 5 vanilla flavored round cakes and sandwiched them together with vanilla flavored butter icing. 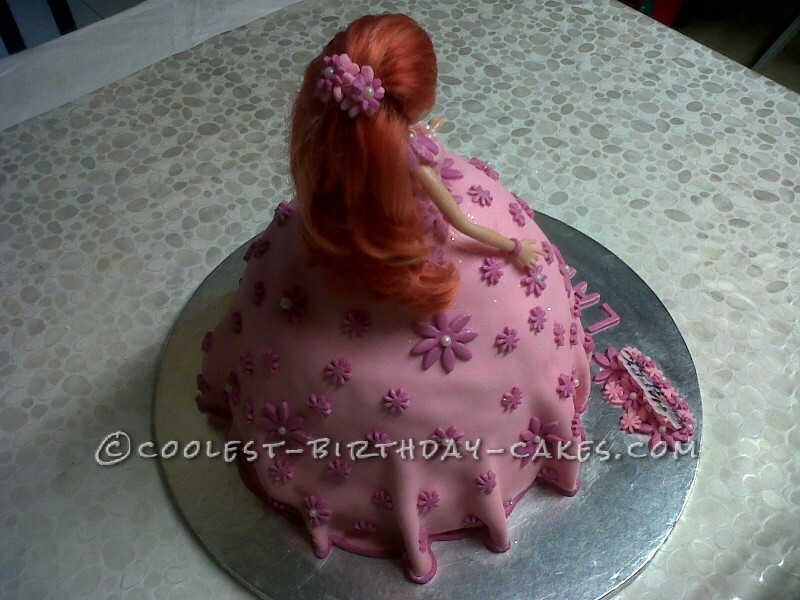 I carved away at the cake until I had the desired ballgown shape. I then covered the entire cake in butter icing and left it overnight to firm up in the refrigerator. 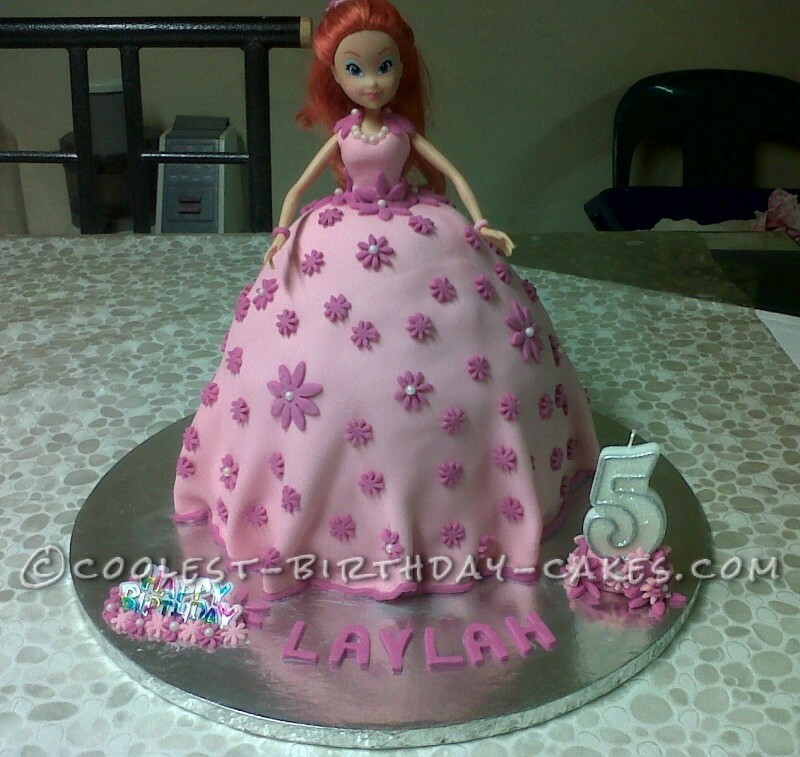 The following evening after work I made the hole in the center of the cake to fit the dolly’s legs. I then covered the dress part with pink sugar paste by rolling out a large round that would cover the dress with some excess that I trimmed off neatly. 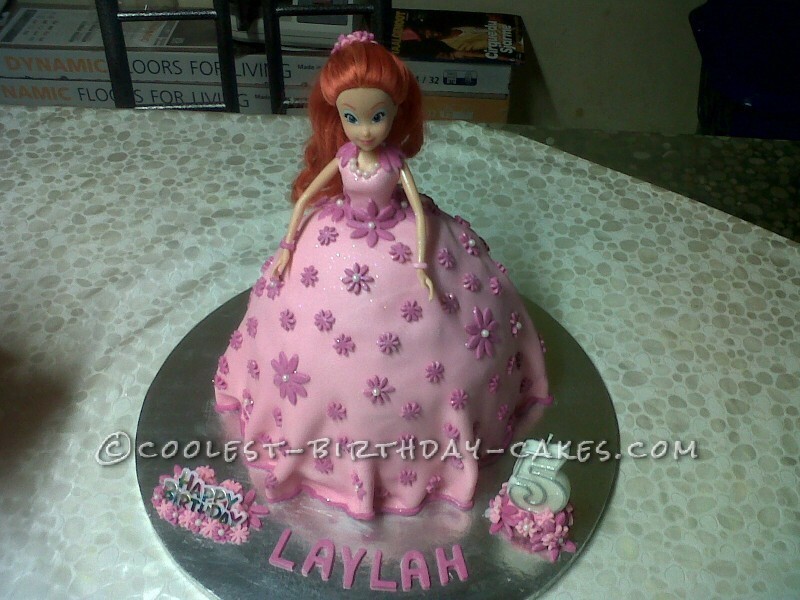 After I did the bodice of the doll I gently inserted her into the cake. 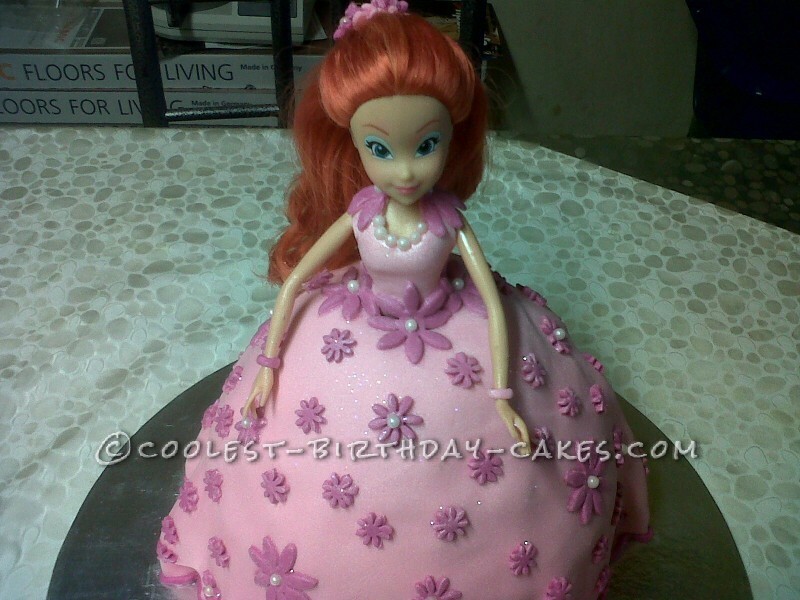 I decorated her dress with purple colored sugar paste flowers and edible pearls on the large and medium sized flowers – I stuck these on with royal icing. Also used the pearls to round the neckline which was a pretty finishing touch. The edging of the dress is also thin string of purple sugar paste. I used a piece of thin wire to tie the half of her back and put 2 sugar paste flowers on the edge of the wire to make her look pretty. The following day after the sugar paste had hardened I dusted her with some pearl dust to give her dress a bit of a shimmer and sprinkled her lightly with illusion sparkle dust.